Suffering from painful strikes during training? Struggling to find armour that fits comfortably? Is your armour heavy and does it take forever to dry? Tired of paying for shipping, only to have to pay again for import tax? Don’t let these obstacles get in the way of you doing your best kendo. With the Kurama Bogu Set, you are protected from hard strikes with its extra padding. It fits to your body comfortably with our fit-stitch construction, and thanks to the Orizashi finishing it dries quickly. Best of all, you can order the Kurama Bogu Set anywhere in the world and we will ship it to you for free and cover any import taxes. Named after a famous mountain in Kyoto, this set is a fantastic opportunity for any kendoka. 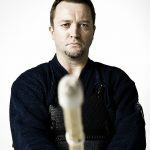 Being struck is unavoidable in Kendo, but this doesn’t mean it should be so painful it stops you from training. The Kurama set is designed specifically with robust and regular training in mind. By making use of a 6mm stitching width, the futon is given plenty of room to expand and absorb strikes. 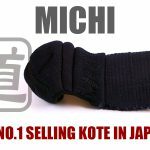 Furthermore, we have added additional protection where it is needed the most — the Men and the Kote.The top of the Men features additional core padding to protect your head from the impact of particularly hard strikes.The Kote also have thicker padding across the forearms for improved cushioning; in fact, the right Kote, which receives hits the most frequently, has a thicker futon. The core materials and wrist construction have been chosen with protection and maneuverabiltiy as priorities, making it easy to grip and hold the Shinai. Both features are ideal for any kendoka, even children, who dislike the pain of powerful strikes yet still want to devote themselves to training.With the Kurama Bogu Set you can concentrate on what really matters, confident that you are fully protected. When kendo armour is stitched really tightly by machines the Bogu can become stiff and uncomfortable to wear as well as less protective. The Kurama uses fit-stitching, also known as nagazashi, to provide the best possible fit. The longer intervals of fit-stitching let the Bogu futon retain its shape; moulding to the user’s body, providing a unique fit and enhanced protection. This superior fit makes the Bogu feel lighter than it is as you can move more efficiently compared to non fit-stitched sets. The Kurama is reinforced and finished with Orizashi cotton — not only does this give the Bogu a dignified appearance, but it is also lightweight compared to deer leather (real and synthetic). Most importantly it is a very breathable material. It remains cooler than most Bogu during training and dries quickly after practice — this helps to reduce the buildup of bacteria and prevent the bad odours commonly associated with Kendo.Move freely and enjoy keiko with the Kurama’s fit-stitch futon and Orizashi finishing. 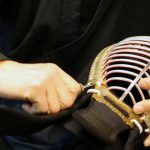 Import taxes can be a difficult hurdle for anyone who wants to practice Japanese martial arts, but still wants access to genuine Japanese equipment. What is worse is that these taxes vary around the world. This penalises some countries more than others. Here at Tozando we have made sure that the Kurama Bogu Set is tax-free, available for the same price wherever you are in the world. 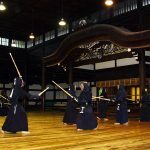 You don’t even need to pay shipping, just the Bogu and that’s it.The Kurama is an opportunity for everyone to enjoy Kendo confidently, anywhere in the world. Refocus your attention and improve your performance by removing common distractions like pain, uncomfortable armour and long drying times. Our 4-piece Kurama Bogu Set comes complete with Men, Do, Kote and Tare. A Tenegui and all Himo are included as standard. If you make your order before the 10th of August, the set also comes with a complete uniform set for no extra cost.Regularly priced at $560.00 USD, we’re offering the Kurama Bogu Set at $320.00 USD — saving you 57% off the recommended retail price. On top of this, international shipping and customs tax are also included free of charge. 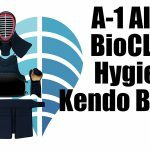 Buying your first set of kendo-gu? 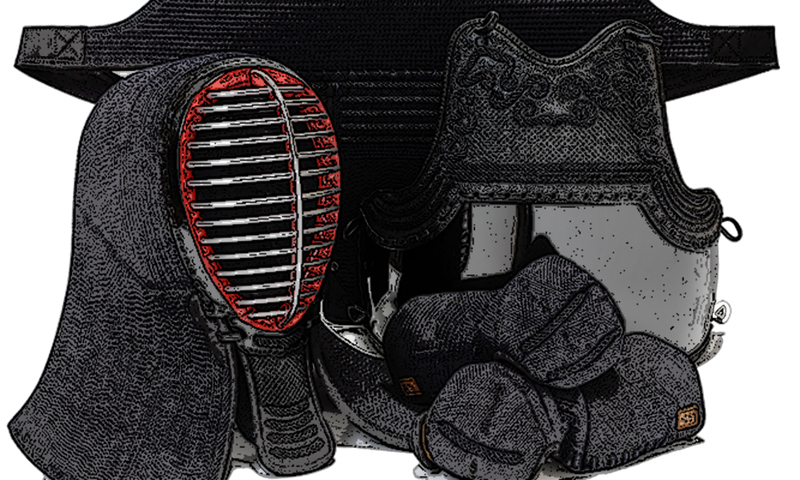 2016/10/28 – Tozando Complete Beginners Kendo Set Available now!